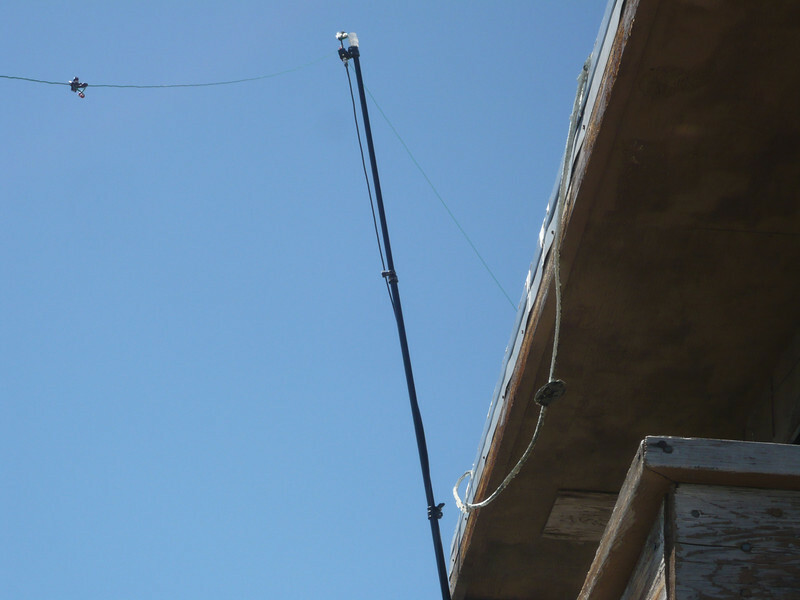 A closer shot of the dipole hanging from the top of the mast. The Buddipole mast has standard 1/2" male pipe threads on top so I use a pipe thread to PVC adapter with a hole drilled through it and a mini-carabiner-style connector in the hole. That is used to support the center insulator via a loop of cord. The center insulator actually uses screw terminals and wing nuts to attach the wires (making it easy to swap out sets of wires in the field). Part way down the wire is the link that separates the 20m section from the remainder of the wire.